Monte de Oro Winery is one of the newest and most modern of the Temecula Valley wineries. The winery offers state-of-art winemaking facilities, an enormous patio with a grand view of the vineyards, and a delicious selection of red, white, and sparkling varieties. Their newest addition is the MDO Wine Bar & Bistro, open Saturdays and Sundays from 11am-4pm. Pri­vate Tast­ing Expe­ri­ence – 60 minute tasting in a pri­vate set­ting, includes 6 tastes, imported & domes­tic cheese plate. The Tast­ing Room at Monte De Oro is open 10:00 am to 5:00 pm, Mon­day through Sun­day. For direc­tions to Monte De Oro Win­ery, click here. For $16, take a tour of the beautiful property and winemaking facilities. Watch our “CRUSH” teaser video now! 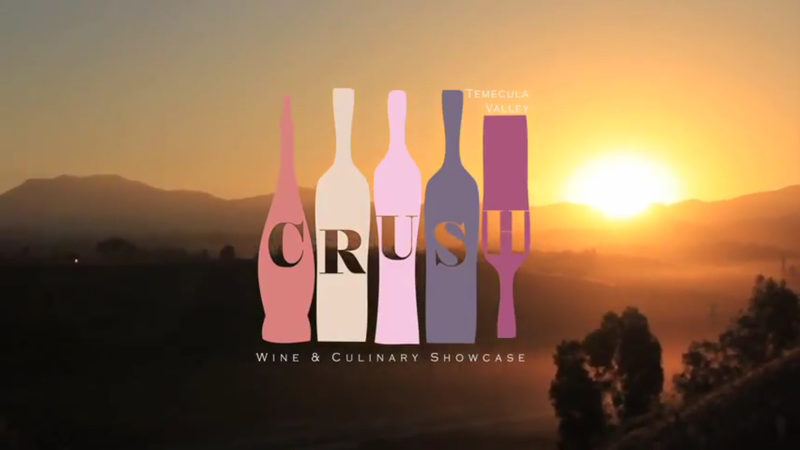 Have you bought your tickets yet for our once-a-year CRUSH grand tasting event? It’s only a month away and tickets are going fast! Celebrate California Wine Month this September with the annual Temecula Valley Wine & Culinary Showcase on Saturday, September 10 from 6:30-9:30pm. For only $65, guests will enjoy tastings from all 34 member wineries and more than a dozen wine country restaurants. Taking place on the beautiful Monte de Oro winery patio overlooking the entire valley, this exciting evening will also include a sparkling wine reception, live entertainment, and personal mingling with your favorite Temecula Valley winery owners, winemakers, and chefs. 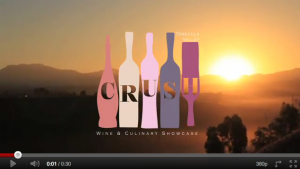 Posted in Events, SoCalWineTV | Comments Off on Watch our “CRUSH” teaser video now! Join Christine and Deane Foote, owners of Foot Path Winery, for a tour of this family owned and operated winery. Located just minutes away from downtown Temecula, Foot Path Winery is also an organic farm that produces a variety of fruits available throughout the year. To learn more, please visit Foot Path Winery. Learn about Callaway Vineyard & Winery’s new and exciting improvements! If you have not been lately, you will be pleasantly surprised by the new courtyard and remodeled barrel room. If you are looking for delicious dining, come out to their Meritage Restaurant, which was named one of the “Hot 100 Restaurants in the Inland Empire” in the May issue of the Inland Empire Magazine. To learn more, visit Callaway Vineyard & Winery. Join Les and Dorian Linkogle, owners of Briar Rose Winery, for a tour of Temecula Valley’s premier boutique winery. Modeled after Snow White’s cottage, Briar Rose Winery is an enchanted place with handcrafted, small lot, premium and artisan wines made from the most intensely flavored grapes from exquisitely lush vineyards. To learn more, visit Briar Rose Winery. Meet Rick and Jennifer Buffington, owners/winemakers of Cougar Vineyard & Winery. Their loyal fan club and fun Italian varietals makes Cougar a standout winery to visit in Temecula Valley Wine Country! Wine club, special events, group tours, private & group tastings, picnic area; weddings facilities coming soon. 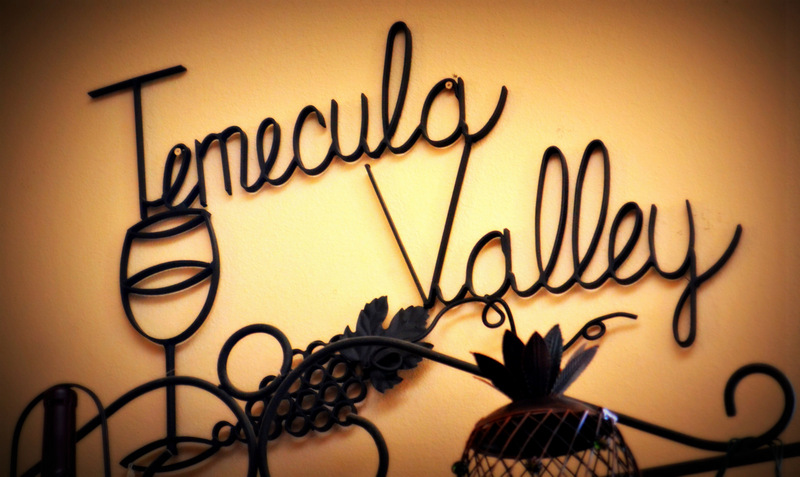 Follow Marcelo Doffo as he shows you around the smallest winery in Temecula Wine Country. His old-world passion and family history shines through as he makes excellent boutique wine in limited batches. To learn more, visit Doffo Winery. Join Gus Vizgirda, winemaker at Maurice Car’rie Winery, for a Temecula Wine Country tour. Maurice Car’rie is one othe oldest Temecula wineries, and offers a great craft fair on the weekends. Take a ride with Nick Palumbo as he shows you around his family-run winery in our latest episode of So Cal Wine TV. Visit www.palumbowines.com for more info on the winery & stop in for a tasting today!